Only two days until the excitement of election night! Policies have been announced, personalities have been dissected, now all that is left is to vote. And according to a WTV poll, if you are ethnically Chinese you will probably be voting for National. The headline makes a bold claim, and we can't help question the methodology of the polling. With the poll conducted primarily through WeChat, it is doubtful that it is truly representative of all ethnically Chinese in New Zealand, with many younger Chinese New Zealanders using WeChat only for the family group chat. For our generation, an article which may resonate more is Ally McCrow-Young's piece on her difficulties with Labour's rhetoric. 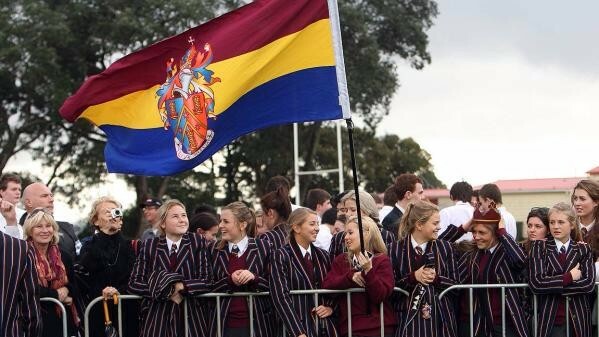 Their lack of apology for the "Chinese sounding names" affair has been one of the disappointments of the election cycle, bringing back memories of when Phil Twyford told us to "forget racism" (and instead focus on their dubious reasoning which was later proved incorrect). It also continues the uncomfortable rhetoric surrounding things Chinese this election. This rhetoric was seen again with the discovery that National MP Jian Yang is a CCP member, leading many to accuse him of being a foreign spy. This view is a knee jerk one though. There are over 85 million CCP members around the world and not all of them are spies. As Tze Ming Mok summarises, the situation is a lot more nuanced and uncertain. Whether they like it or not, politicians are role models and representatives of society and what they say matters. Their words and values are taken on by the population (we're looking at you, Winston). While the merits of certain policy can be debated, we hope that the discourse will always be non-discriminatory, both now and after the election. 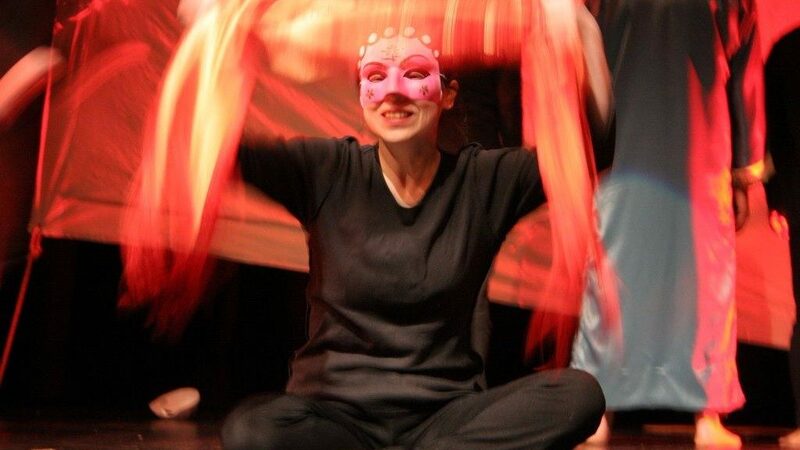 On a related note, some of us went to watch Alice Canton's "OTHER [chinese]" this week, a theatre piece which asks: What is Chinese identity in New Zealand? Does being Chinese mean you have to like the colour red and celebrate Spring Festival? If you haven't experienced these are you any less Chinese? The show gave us no tidy answers but certainly made us think, and the diverse experiences of Chinese-ness on display was a refreshing contrast to the often simplistic and homogenous representations of Chinese New Zealanders in the mainstream media. We're glad we got to see it and look forward to more art in the future. Happy democracy day to all. Having a tough time choosing between avocado on toast and your dream house? Why not both! 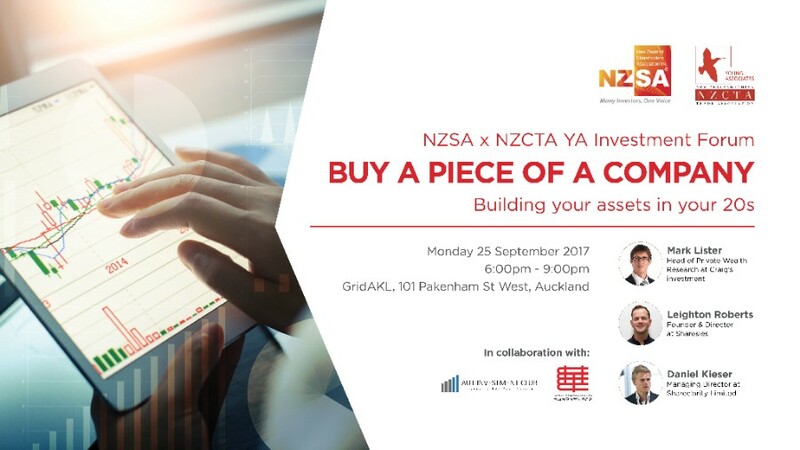 Come along to NZCTA YA's Investment Forum with the New Zealand Shareholder's Association and learn how to build your assets through investment! Speakers from Craigs Investment, Sharesies and Shareclarity will share their tips and knowledge and there will be opportunities for networking with like-minded people. Topics covered include different types of investment, common rookie investment mistakes and how to build your portfolio. The event is nearly full! More information and registration at this link. Please also press going on our Facebook event here for updates. See you there! Some YA committee members recently attended the Shandong Business Seminar which showcased the strong trade relations between the two regions as well as future projects in various areas. Speakers included former Prime Minister Jenny Shipley, the Governor of Shandong Gong Zheng and CEOs and representatives from the private sector and government. Highlights include the growth of the tourism industry in both countries, the efforts to employ more eco-friendly solutions and Shandong's strategy to take advantage of their geographical location as a port city. 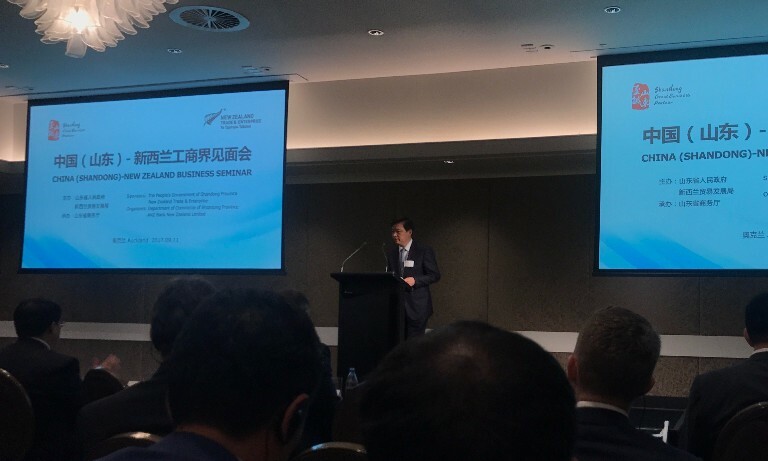 The YA hopes that more events such as these will be held to increase opportunities for New Zealand businesses to co-operate and work with various other Chinese companies. Those interested in similar events, like our Facebook page for opportunities. #3. Business Desk: Do School Leavers Know Asia? As students and young professionals, our place as the future is always being threatened by those younger than us. The kids are always coming up from behind. So in one way, it is comforting as believers in Asia to see the generation below us thinking Asia related skills won't be as important. More opportunities for us! As believers in New Zealand though, the downward trend is a bit concerning. These findings are from Asia New Zealand Foundation's quadrennial survey of school leavers. While the trends may be downwards, the report is still well worth a read, if only to get a glimpse of younger attitudes towards Asia. #4. Culture Desk: Who Gets to Tell the Story? I've always known Renee Liang as that Kiwi Chinese theatre chick, probably because she was the only one I could see. In this piece for The Big Idea, Renee deals with her status as "that Asian" and the experience and challenges of being an ethnic writer in a community that is still diversifying. Most interestingly, the piece talks about the pressures of writing when you are one of the only minorities. Of how you are expected to write about particular topics (identity, migration) which you are interested in, but not about more universal topics you are also interested in like love and loss. As one of the pioneering Asian artists in New Zealand, Renee is one of the few to have had such a breadth of experience with these problems so it is great to see her perspective.